This week we've combined two weeks worth of episodes of our beloved Real Housewives of Beverly Hills. 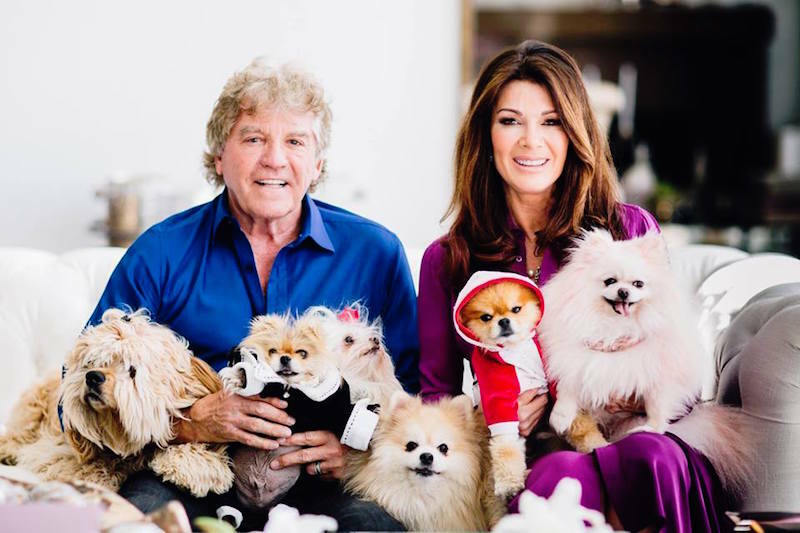 The episode, "Feeding a Need," which aired last week, was light on spending for everyone except Lisa Vanderpump. LVP did something we doubted was possible: She came from behind to outspend Erika Jayne. The next episode, "Cake Therapy," was a real reckoning for Lisa Rinna, and we loved every minute of it. As per usual, we're running the numbers to see how much our most affluent Housewives spent. Our Process: We tuned in to see just how much the ladies are spending. In order to calculate, we focused on money spent in the episodes. Clothing, cars, houses, etc. are not calculated unless the women make the purchase on screen each week. If the women go out to dinner, we will attribute the cost to whichever housewife is given credit for the scene, as designated by the "title" before the scene. At the end of the episodes, we'll tally it up to see who forked over the most dough (and who is in the lead for the season). LVP's son, Max, has been doing well, so she and Ken responded the way that any parents would respond to their adult son's success, by buying him a house. LVP tells us that they spent $630,000 on the house and that she plans to completely redecorate and furnish it, so we're pretty sure this is just the beginning, budget wise. I'm not seething with jealousy at all, why do you ask? They talk about the forthcoming grandchild, how happy Kim is, and of course, remind us that Kim's recovery is going well. Kyle tells Kim everything Rinna said, and Kim is rightfully gobsmacked. The baby clothes look lovely and expensive, but they buy nothing. Lisa Rinna confronts Eden's lack of empathy for her condition, Selective Memory Loss. Rinna is mad at Eden for reporting the things that Rinna said about Kim because Rinna has once again conveniently forgotten her part in stirring the pot. How much longer can this go on? They sit at a park bench outside… because when Eden and Rinna meet up at a restaurant, they never order. So what's the point? We see the ladies spend a day volunteering for Project Angel Food. Rinna tells us that she'll be receiving a humanitarian award from the organization. She gets mad when LVP, Kyle, and Dorit are late because it doesn't show respect for Rinna (she is not concerned with a lack of respect for the organization). It's great that they're volunteering, but this outing is a real snooze fest. Of course, LVP would never gift an unfurnished home. She and Ken go shopping for Max's new house. She tells us, "I never really have a budget for decorating anything, but Max is only 24 so I want to keep the price down." Surprisingly, Lisa opts for items that are on sale. She selects a lovely blue velvet, tufted sofa that is actually quite reasonably priced and a white coffee table that is… less so. Blue velvet sofa: $1,550 (down from $5,200). The ladies curl up on the sofa to hash it and get to the bottom of the drama. Erika meets her husband, Tom, for a midweek lunch at Engine Co. No. 28. Tom orders a glass of pinot noir for his "cold." The rest of the order is not discussed, but from what we can see, Tom ordered a club sandwich. Meanwhile, Erika went for a bowl of soup and water. We see Kyle working with the costume designer for her new scripted drama, American Woman, on TV Land. They go through the clothes and decide what looks most like her money. Kyle isn't spending any money here. She's making it. The question is: how much?! Total: We don't know, but we're dying to find out how much Kyle is getting from that show. The ladies all turn out for the Angel Food Awards Gala, where Rinna is being honored. The good news about this one? Somebody else is footing the bill. The bad news: The drama follows these women everywhere they go. Kyle plans a dessert tasting. She tells us that it'll be a good time for everybody to sit down and hash it out. In other words, we can look forward to some tasty treats… and we won't get to eat the deserts. So far, she's just planning, no spending. Rinna calls her husband to tell him what we already know: She did say all that garbage about Kim. Snooze. She spends no money. Next! By this point, we've noticed that LVP has pretty much decided not to shoot with anyone except her husband, Ken, this season. Instead, we get the occasional treat of "what is Lisa buying this week." Our latest installment is a dog rescue that seems like it's gonna be a real bougie hang for orphaned pups. Kyle hosts a dessert tasting in classic Kyle fashion. The focus is supposed to be on deserts, but in the end, Rinna is on the menu. The women eat her alive, and to be honest, she deserves it — even Eileen and Erika would have to agree.